~ Melinda Besse, Director of Boulder Massage Therapy Institute. Once an owner and operator of one of the largest outdoor adventure businesses in Colorado, Melinda now enjoys guiding others to embark on a spiritual adventure to explore their inner wilderness. Inspired by decades of practice and study in ayurveda, bodywork, life coaching, energy work, yoga, meditation and indigenous healing practices, Melinda’s work is in helping people to remember and align with their natural, raw rhythms to find balance in body, mind, heart and spirit. Personally raised $20,000 to fight Human Trafficking in India and traveled to Calcutta with Off the Mat Into the World. There she taught yoga to girls in protected shelters and helped get a work skills education program for the women off the ground. In May 2013, Melinda completed the Off the Mat into the World Leadership Program. 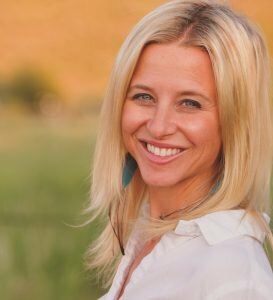 Melinda had the vision to create sacred space for the education, support, and development of healers, spiritual leaders, and future conscious business entrepreneurs to find their unique expression to bring into the world. That is You. And here in our sunny, majestic mountain view space is the place in Boulder, Colorado, a mecca for health and holistic healing. Come to explore and discover for yourself. Janis’ passion for science, bodywork, and education has created a spiraling career path intermingling environmental, community and embodied health services. Originally pursuing her concern for the environment with a Forestry degree from Virginia Polytechnical Institute and State University, her interests as a mother soon shifted her scientific inquiries to a more personal level, leading to health studies at the Virginia School of Massage in 1995.